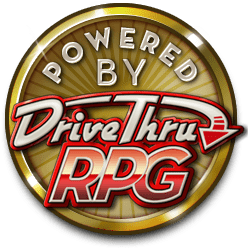 Escorting your players to the Cultist Ritual Grounds? Frolicking through the Pits of Hell? Need a Map for that Deal with the Devil? Rescuing commoners trapped inside a Volcano? 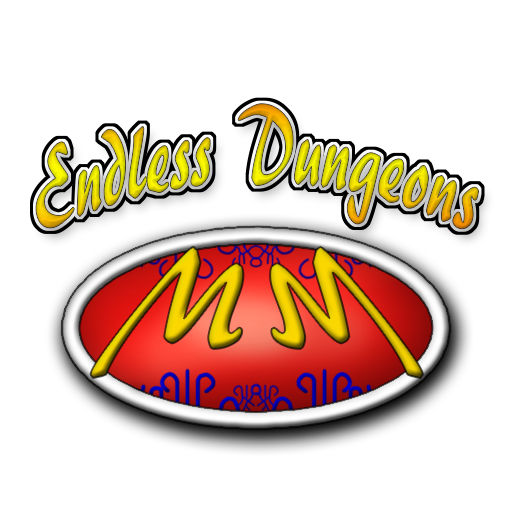 Well there's always Endless Dungeons Volume 25: Cult Dungeons & Hell Pits! 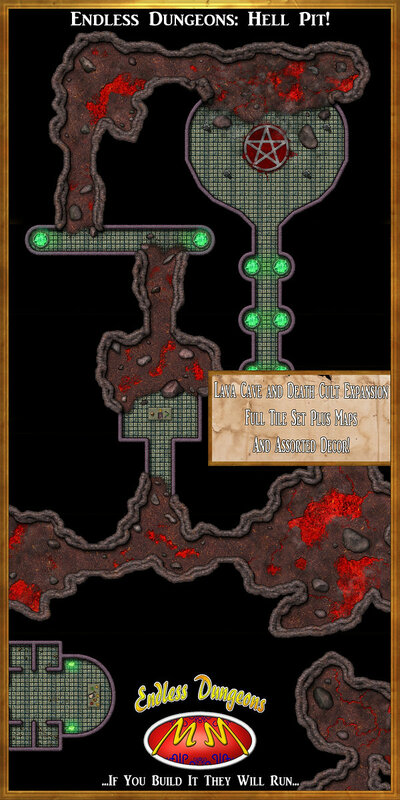 This set not only expands on the Death Cult Tile Set and the Lava Caves Tile Set from Volumes 4 & 5, but it also merges them together more seamlessly! Don't have those sets? You don't need 'em! This set has everything you need to fill up your tank on before you get on that Highway to Hell! 24 smaller 10x10 Tiles Fully Decorated in each theme! 12 larger 15x15 Tiles Fully Decorated in each theme! Over 50 Modular Cultist Dungeon Tiles! Over 20 Modular Hell Pit Tiles! Various Modular Tiles ysed to connect the Two Themes Seamlessly! Various Overlay Tiles and Builder Tiles for Custom Creating! A small handful of Various Sunder for further Decorations!